Mainstream science is beginning to discover new concepts of reality that have the potential to change our perception about our planet and the extraterrestrial environment that surrounds it forever. 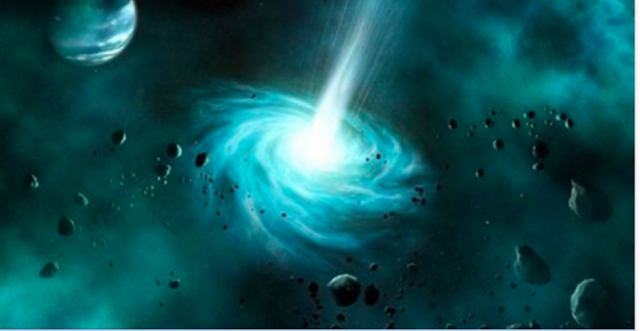 Star gates, wormholes, and portals have been the subject of conspiracy theories and theoretical physics for decades, but that is all coming to an end as we continue to grow in our understanding about the true nature of our reality. NASA used its THEMIS spacecraft, as well as a European Cluster probe, to examine this phenomenon. They found that these portals open and close dozens of times each day. It’s funny, because there is a lot of evidence that points toward the sun being a giant star gate for the ‘gods’ to pass back and forth from other dimensions and universes. The portals that NASA has discovered are usually located tens of thousands of kilometers from Earth and most of them are short-lived; others are giant, vast and sustained. Mainstream science continues to grow further, but I often get confused between mainstream science, and science that is formed in the black budget world. It seems that information and discovery isn’t information and discovery without the type of ‘proof’ that the human race requires. Given that the human race requires, and has a certain criteria for ‘proof’, which has been taught to us by the academic world, information can easily be suppressed by concealing that ‘proof’. It’s no secret that the department of defence receives trillions of dollars that go unaccounted for and everything developed within the United States Air Force Space Agency remains classified. They are able to classify information for the sake of ‘national security’. Within the past few years, proof has been emerging for a number of phenomenon that would suggest a whole other scientific world that operates separately from mainstream science.